Because BidRobot places your bids for you from multiple servers, your computer can be switched off. 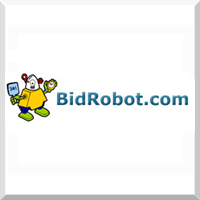 BidRobot's "Bid Groups" feature allows you to bid on multiple auctions for the same auction item. As soon as you win any one auction at the price you want, we'll automatically cancel your bids on the other similar auctions.